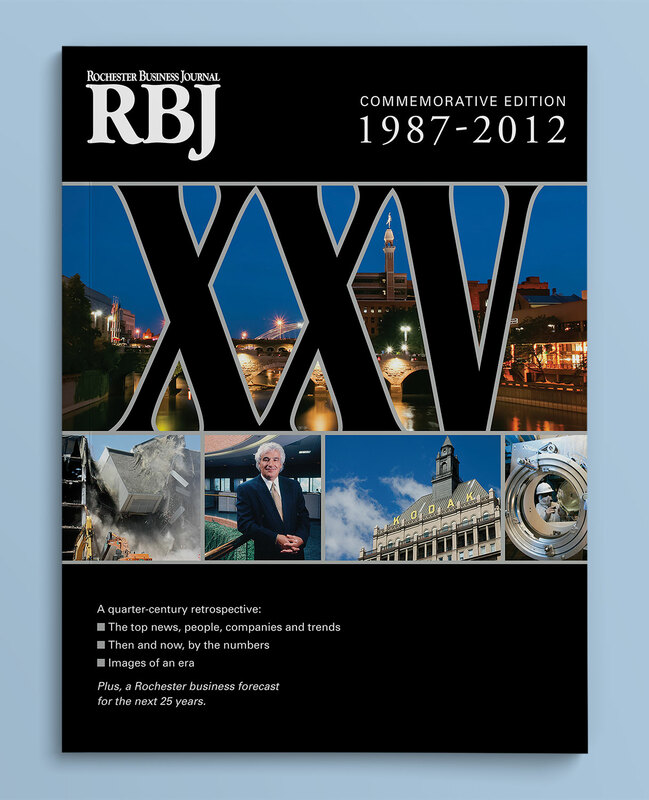 Cover created for the RBJ’s 25th Anniversary Commemorative Edition. 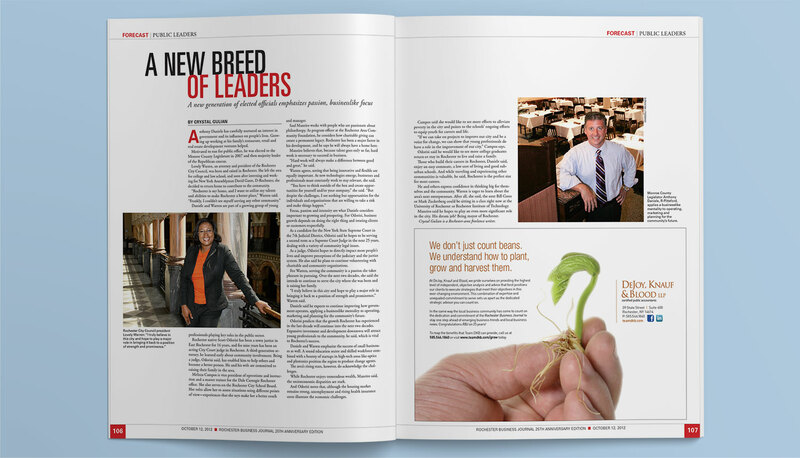 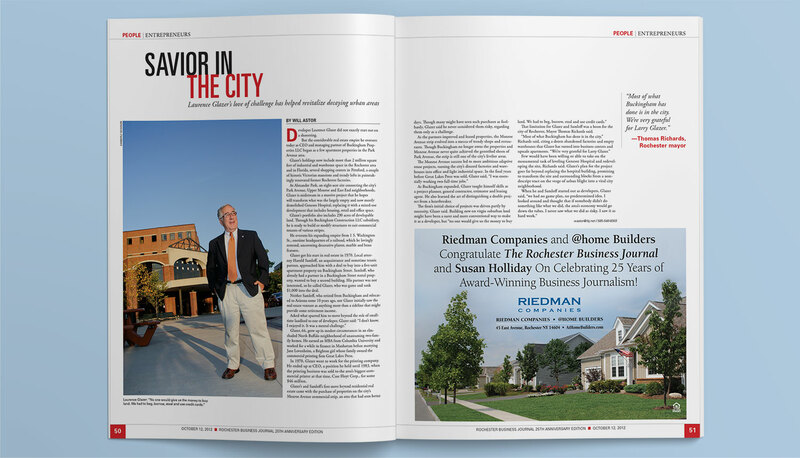 I also worked closely with the Editor to design the interior pages. 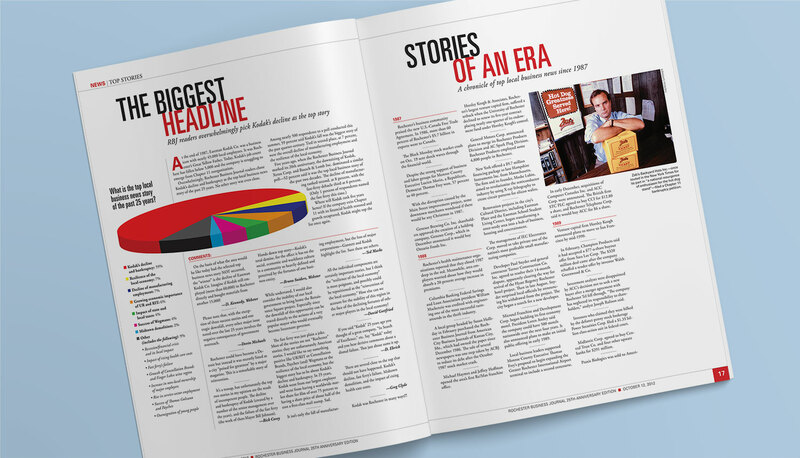 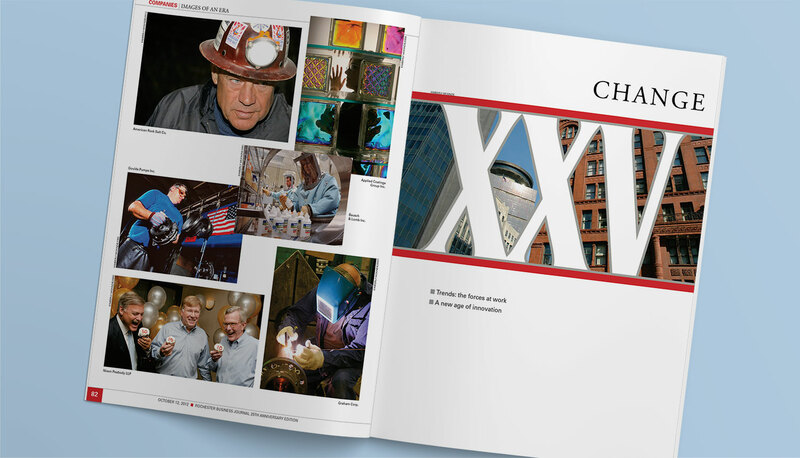 This edition received Second Place with both the New York Press Association and the American Association of Business Publications.